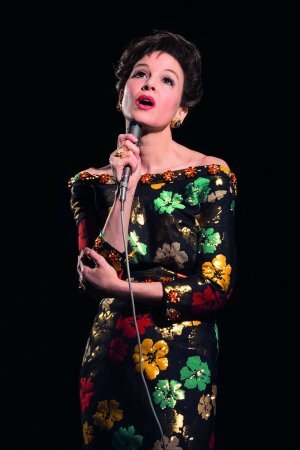 Renee Zellweger is Judy Garland in the first look-image from upcoming biopic “Judy.” The film – which started principal production on Monday – is based on the true story of Garland’s final concerts in London, with Jessie Buckley (War and Peace), Finn Wittrock (American Horror Story) and Michael Gambon (Harry Potter) starring alongside Oscar-winner Zellweger. Tony nominee and two-time Olivier winner Rupert Goold (King Charles III) directs from a script written by The Crown scribe Tom Edge. “Judy” will chronicle Garland’s arrival in swinging 1968 London to perform in a series of sellout shows. It has been 30 years since “the world’s greatest entertainer” shot to global fame in The Wizard of Oz and as she prepares for the concerts, she battles with management, charms musicians and reminisces with friends and adoring fans, while also embarking on a courtship with Mickey Dean, her soon-to-be fifth husband. Neurotics Rejoice! Kate Bush To Perform!